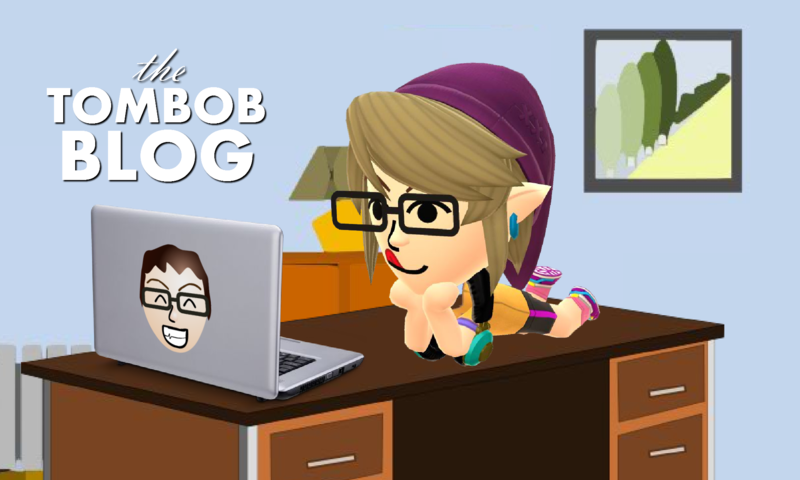 The TomBobBlog – Now You're Reading with Power! Today’s my 10 YEAR Anniversary of Mario Paint videos on YouTube. My life changed forever through this silly idea. I have met some really fascinating people both on and off line, and many of those people I still talk to today. It was never something I expected, and was something I was completely new to. Talking to people online seemed so strange to me, let alone making any meaningful friendships. It all seemed silly to me. Around this time, MySpace was a thing, and Facebook was pretty much limited to my college friends. Everyone I knew online was someone I knew in real life. Until YouTube. Posting videos on YouTube and having a complete stranger leaving messages for me felt very different. It took me a while to get used to the whole idea. It followed by people trying to get in direct contact with me, starting with the YouTube inbox. Sometimes for just simple questions, a few words of praise or the desire to learn more about me. Was this normal? Should I tell my personal friends know about this? Or was this some kind of second-life thing. I didn’t know what to do, but I tried my best to see where it would go. I created an AIM account and a Skype account and before I knew it was having actual voice conversations with people. Whaaaat. It took a year to really let it all sink in. Fast forward 10 years, and it’s become a huge part of my life. HUGE. Almost necessary. Most of my friendships I made 10 years ago are still active today. I can’t even think of any real life friends who have stuck around that long. I guess all I can really say is thank you. Thank you to everyone, for everything. You all make me smile in different ways. I am so grateful for everything. I completed my first month of daily blogs! Thank you very much, February, for the shortcuts! All I have been able to think about today was getting my Hi-Def NES in the mail tomorrow, which also happens to be March 1st! I just hope I’m around to sign for it when they deliver it. And then of course March 3rd is the release day of Nintendo Switch, and I’m all preordered for that and for Zelda Breath. Lots of good stuff to start off the month already!